IMO the only difference between a Wall Street Analyst and a Fortune Teller is a Tent, a Crystal ball and their paychecks. Wall Street Analysts = Well Compensated guesser. This is the first article in awhile that I've agreed with on BGR. It's evident that markets OUTSIDE of the U.S are becoming more of a force. It's not that the U.S market is doing poorly, it's that other markets are rising at a fast rate. And in many of those markets, what do you think they can afford? A blackberry device. It's cheap, easy to use, and the brand is well known across these markets as a "business tool". Thanks Tero for pointing out how useless and utterly worthless analyst and others in your "profession" really are...then again, I'm just a mathematician, what do I know about skewing numbers to prove anything I want. A great article that gives us a better idea of how despite pundits insisting RIM and NOKIA are dead that they do so dare to persist. Indeed most money managers have no idea about so called emerging markets and this tells us how RIM and Nokia keep going. Nokia and RIM are being quite rude in not just expiring despite making profits in these hidden markets where owning an iPhone is all but impossible. Anyway, great piece of reporting. The best read I have had in a long time. Maybe I'm just a skeptic, but this news really doesn't change my overall view of RIM's future. They moved units, but did they make any money? If I remember correctly they were slashing prices in areas such as these by as much as 26%. Is there considerable profit that was made or did they basically shed inventory? I certainly hope they aren't counting on these areas being markets where consumers will change handsets every one to two years. Their new devises and OS aren't coming out until next spring, and companies will have to run two separate servers to support both legacy and BB10 devices. They have never made a solid non-keyboard phone. Their ecosystem as well as third party developer support are not very good, which I think it perfectly evidenced by them bringing Android emulation to BB OS. It just feels like they're keeping the ship afloat a little longer, but it's still eventually going to sink. Rim will make money. if bb10 catches on and i think it will rim will be in excellent position. BB10 for N/A and Europe and BB7 for Asia and Africa. Perfect. I understand your ponit, but that is an extremely big 'if'. I'm assuming you are referring mainly to corporate customers. Right now that appears to be their best and possibly only option. Companies were hesitant to switch from BlackBerry because of security concerns, but recent reports suggest Apple has essentially caught up in that regard. My point is that companies will still have to run a completely separate server to accommodate the B10 devices. The back end has to be updated along with changing out the devices themselves, regardless of whether it's Apple or BB10. If that is the case then what makes BB10 a more attractive option? I think it should be pointed out to that RIM's focus on the corporate market and lack of focus on the average consumer was one of the main causes of it's current financial situation. 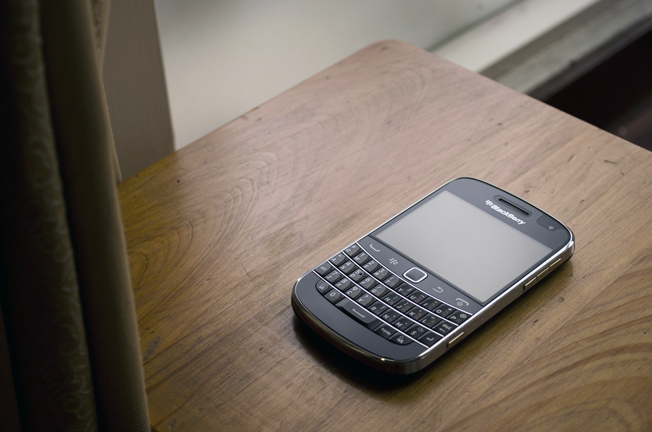 BGR posts nothing but "hate mail" against RIM. This post had not news in it whatsoever and solely tried to portray BlackBerry in a negative light. In order to get back to being a site that people take seriously (I'm not talking page views), they really should focus on less biased reporting and more reporting on what's actually new and exciting in the mobile/tech space. Wait! Jaime - how come you're not poking your head around hear with a RIP RIM comment - oh ya because you don't know anything. Ya - and your "if it doesn't make it in the US it won't make it anywhere".........Jaime - I don't even have to say it anymore. Its completely obvious to all your a complete ******! this is a "trick". you know there is world outside USA and yes people do use phones there as well. Tero needs to go back to school and re-take geography class.